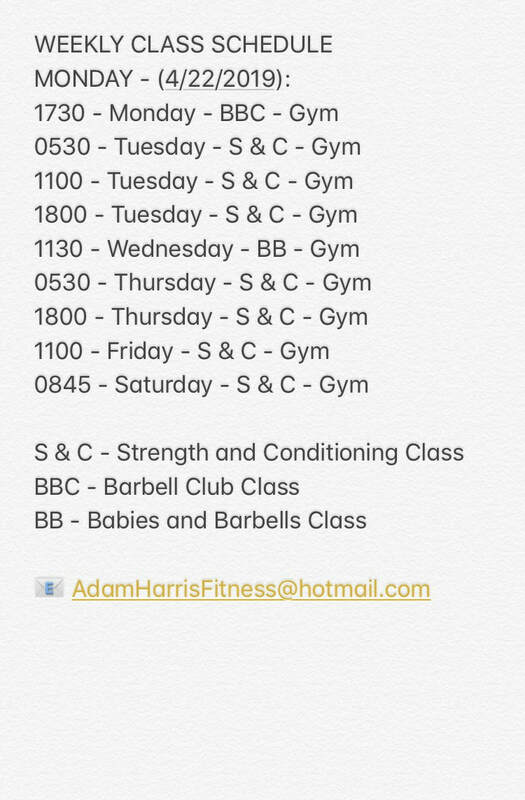 Participants MUST contact Adam Harris Fitness to confirm attendance at any of these classes. Participants MUST complete a Waiver and Policy document before attending a class. Please email AHF for more info!! Cost - $20 Drop In Rate - Class Packages available! !